A test in the family courts will be the next step in exploring fully video hearings, against a backdrop of widespread concern about the technology among judges, it has emerged. The head of the criminal division has also listed the kinds of hearings that he could envisage being handled by video. The judiciary has published the outcomes of its Judicial Ways of Working consultation, launched last spring, which received responses from or on behalf of 10,000 judges, panel members and magistrates. Almost 800 attended local meetings to express their views. There is one paper for each of the criminal, civil, family and tribunals jurisdictions. The family paper, written by the president of the division, Sir Andrew McFarlane, said the expectation that hearings would be conducted with all parties and the judge on video (fully video hearings or FVH) was the area of reform which generated the most concern from judges. “Some of you feel they are being proposed in the name of cost reduction but at the risk of justice. You are more open to the use of video links in family hearings recognising the value for vulnerable parties, and parties and witnesses who cannot travel to court. As a result, the family judicial engagement group – headed by Mr Justice Cobb – has “cautiously” approved a test of FVH of first directions applications in financial remedy cases, “given that they are, in the main, principally dedicated to case management using pre-prepared documents”. Given the “range of legitimate concerns” raised by family judges about more fully video hearings, he said there were currently “no specific proposal” to expand FVH in the family jurisdiction beyond this test. The use of video technology should not compromise the confidentiality of family court proceedings. The senior family judiciary proposes that litigants participating in any FVH should do so from an ‘authorised place’, which could include, for example, a Citizen’s Advice Bureau office, a Personal Support Unit office, or a solicitor’s office. These points cover the other jurisdictions too. The civil paper, written by Master of the Rolls Sir Terence Etherton, and Lord Justice Coulson, deputy head of civil justice, recorded similar concerns among judges, particularly about final hearings. 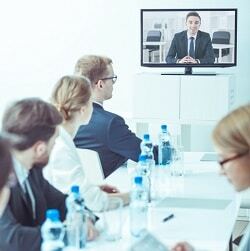 However, many accepted that some kinds of hearings – particularly those involving legal representatives only, such as directions hearings, or specific interlocutory applications – were at least potentially capable of being dealt with by video. Last November, a year-long pilot began in Manchester and Birmingham to hear applications to set aside county court default judgments by video. The paper said that HMCTS has also downgraded its initial assumption that 25% of specified money claims up to the value of £25,000 that were contested and reached a final hearing could be handled by video. This has been reduced to 10%. The judges echoed their family counterpart in reassuring colleagues that participation in video hearings would not be forced on anyone. Sir Brian Leveson, head of criminal justice, wrote in his paper that the original plan for all remand hearings in the magistrates’ courts to be FVH with the issue limited to the question of remand has been ditched. He said FVH trials would not be conducted either in the Crown Court or the magistrates’ courts, with the possible exception of Single Justice System cases, where there may be scope for the defendant to seek a fully video trial rather than come to court. Sir Brian said that, assuming there was robust and effective technology which the judiciary considered appropriate, and further assuming that open justice was secured, there were hearings that could be conducted by fully video. Some straightforward fitness-to-plead hearings, relieving the need for busy psychiatrists to have to travel to court.